Keshia Knight Pulliam of The Cosby Show is 34 today. KESHIA KNIGHT PULLIAM, aka Rudy Huxtable of The Cosby Show is 34 today. Yep, 34. To further shock you, here is a photo of what she looks like now. She’s an actual fully formed grown-up! The fact of the matter though is that for most of us, she’ll never grow up, because she’ll always be Rudy. 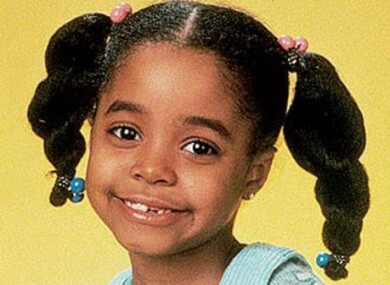 Here are seven reasons Rudy Huxtable was the best TV kid ever. We’re off to watch some classic episodes of the Cosby Show now. There’s simply nothing else for it. Email “7 reasons Rudy Huxtable was the best TV kid ever”. Feedback on “7 reasons Rudy Huxtable was the best TV kid ever”.